Designing a kitchen is much more than merely choosing cabinets and countertops. You must work with plumbing and electrical configurations and constraints and a layout that makes the most sense for your space and your needs. Working with a professional kitchen and bath designer means you get expert advice and professional knowledge about what makes for the best design and layout to give you the kitchen of your dreams. Work with a professional designer from Bigstone Custom Cabinets to avoid making costly mistakes and get a beautiful and fully functional space with all of the bells and whistles you want. You also want to partner with a professional designer to make sure you stay within your budget and make the most of your space. A kitchen specialist will work with you to design a beautiful, safe, and functional kitchen that increases the value of your home. 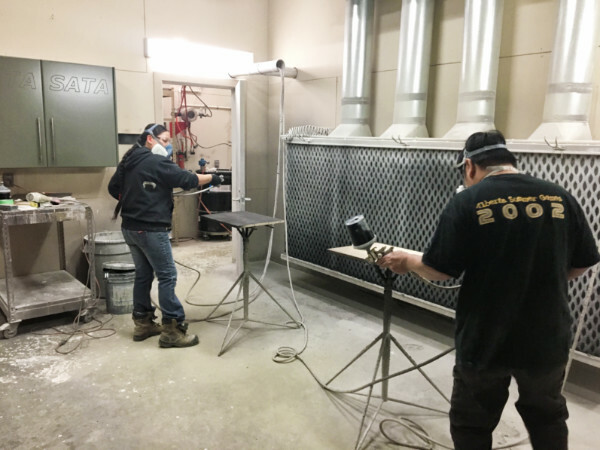 Proudly built in Canada by expert craftsmen, Bigstone Custom Cabinets’ expert team of craftsmen builds each cabinet for your kitchen or bath on site. We don’t rely on cookie-cutter designs, sizes, and shapes because we believe you deserve the kitchen of your dreams. 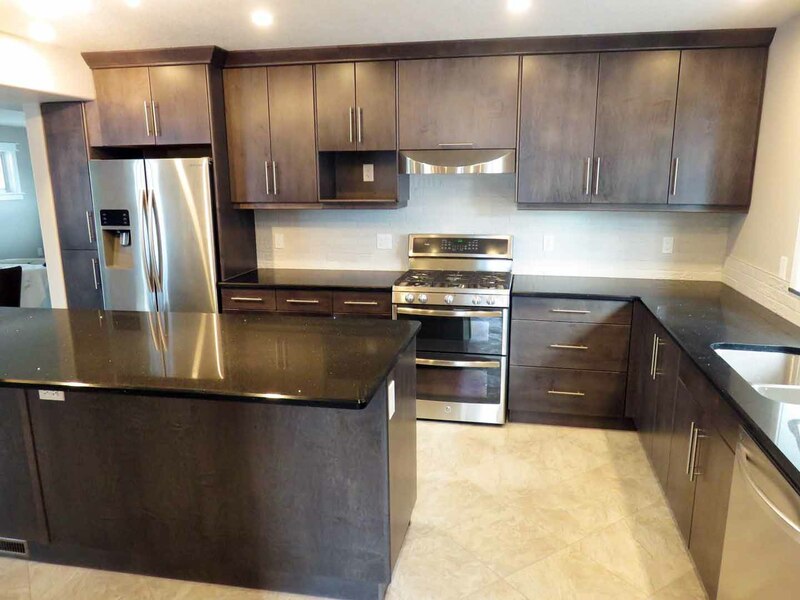 And since your dreams include being the envy of all your family and friends, custom kitchen and bath cabinets by Bigstone add sophistication and elegance without the exorbitant cost others charge for customization. For over a quarter of a century, the artisans at Bigstone Custom Cabinets have hand-crafted and finished beautiful cabinetry for hundreds of satisfied customers. With Bigstone, you know you get a top quality product that we stand behind 100%. Built in Alberta. By Albertans. To offer you the kitchen or bath of your dreams. 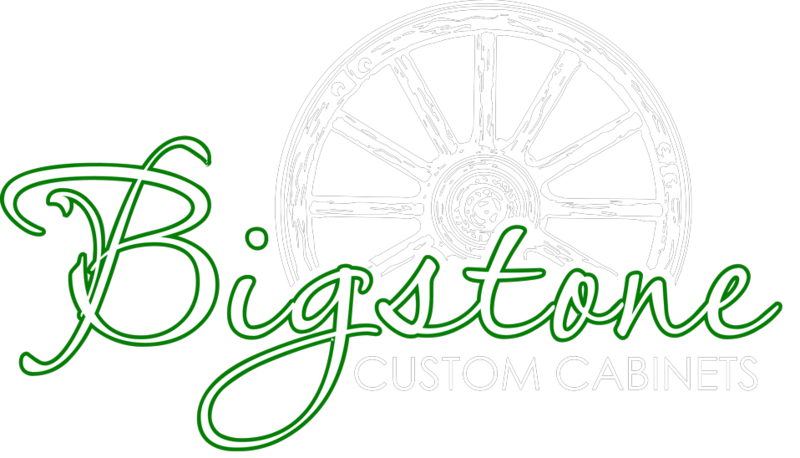 For over a quarter of a century, the artisans at Bigstone Custom Cabinets have hand-crafted and finished beautiful cabinetry for hundreds of satisfied customers. With Bigstone, you know you get a top quality product that we stand behind 100%. Built in Alberta. By Albertians. To offer you the kitchen or bath of your dreams. 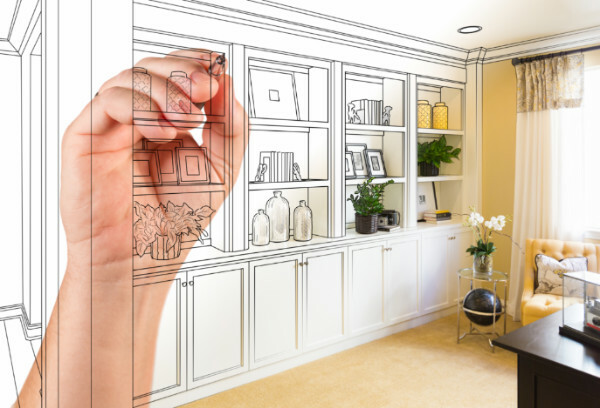 Before you consider installing your new kitchen or bath cabinets yourself, determine if you can be a carpenter, electrician, plumber, flooring installer, and finish carpenter. Then you need the skills of a general contractor to pull all those pieces together into one final, beautiful, and functional kitchen or bath. Bigstone Custom Cabinets’ team of professional cabinet installers work for us full-time and are licensed and insured. Our experience and expertise means you get a professionally installed kitchen or bath that lasts a lifetime. 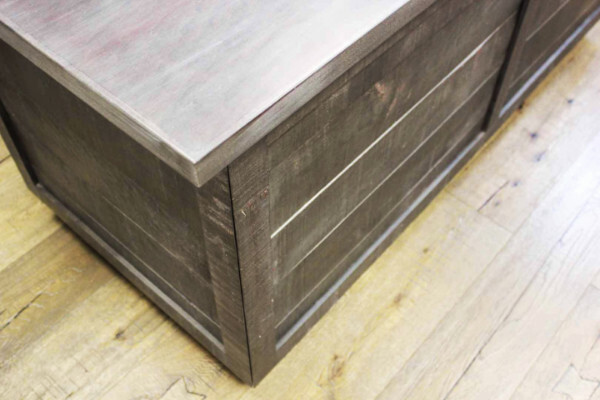 We only use the highest quality hinges, pulls, knobs, and more, and each cabinet is carefully fitted in place and installed to function at its best. Trust us like hundreds of customers before you to install your new kitchen or bath. We guarantee you’ll be satisfied with the result.